I'm not the best chef when it comes to eggs. To be frank I'm not a fan too much as I always get scared I will over or under cook them. Having said that when we do cook eggs we always make sure that the British Lion is stamped on them. That makes sure that we know that they are free from salmonella and produced to a high standard. Last year alone the UK ate around 31 million eggs. So here is a great recipe for you to contribute to your share of the millions of eggs eaten! 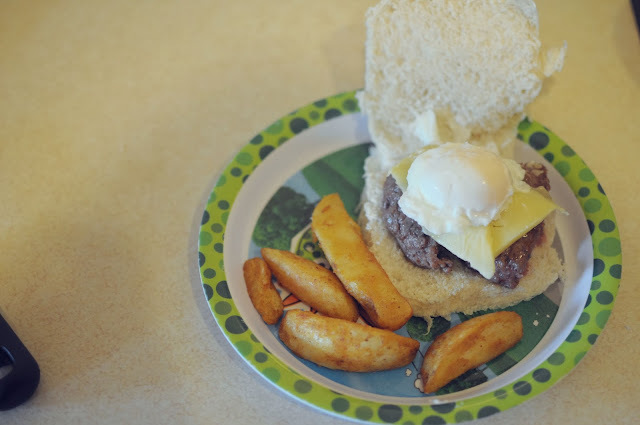 Cheeseburger topped with a poached egg. Whilst the water is boiling, lightly oil a pan and start to grill or fry the burgers, turning frequently. Grate or slice some cheese to top the burger. When the water is boiled, turn down the heat slightly so that it is just below boiling. Slowly and gently crack the eggs into the water, using a spoon ease the whites closer to the yolk. Pop a lid on the pan, turn off the heat and leave it for 3-4 minutes. Place the burger on the bun with some cheese on top. 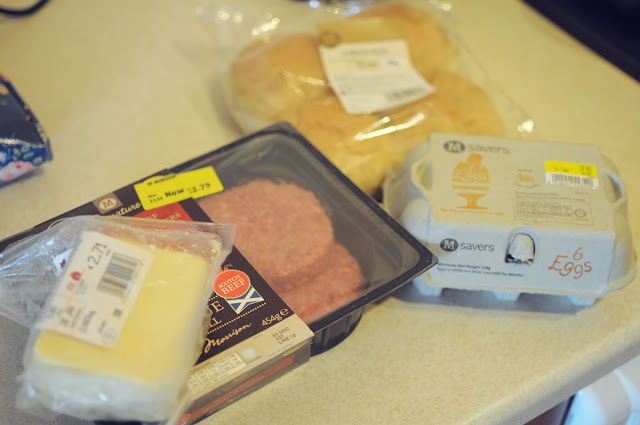 When the eggs are white gently use a slotted spoon to scoop them out and top the burger with them. We served ours with wedges and a side salad but it works really well with spinach, veg and just about any accompaniment. The boys love the different flavours and textures and it tastes divine! Up for grabs is a copy of 'Eggs' by Michel Roux. A perfect book to help you get started with eggs or refine your skills as a master of eggs! Just enter via the Rafflecopter below. I love soft boiled eggs with "soldiers"